The Brabus Eco PowerXtra CDI kits are performance tuning kits that can be easily installed in Mercedes Benz CDI (diesel) vehicles. Available for most Mercedes engines, these kits are connected to the engine management system using a plug and play wiring harness supplied with the kit. Eco PowerXtra kits are designed to deliver improvements to both the performance and the fuel economy of your Mercedes Benz by increasing your vehicle’s torque, generating more pulling power at lower RPM and allowing you to use higher gears during acceleration. Developed by the specialist tuners at Brabus these diesel tuning kits deliver performance gains of up to 58bhp and up to 100Nm of torque, depending on your vehicle’s model. Unlike a Mercedes ECU remap the Brabus Eco PowerXtra CDI tuning kit is a plug and play system that works in unison with your ECU - it doesn’t require reprogramming of your vehicles engine management system. If you decide to sell or change your vehicle the kit can easily be unplugged and resold without damaging or leaving trace data on your vehicles ECU. 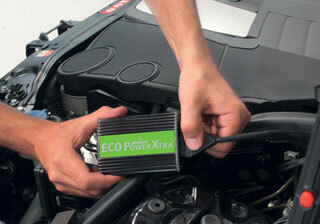 As the name suggest the Eco PowerXtra kit not only improves your vehicle performance, but also fuel consumption. By delivering more torque Eco PowerXtra enables your vehicle to operate at lower RPM, using less fuel and increasing efficiency and MPG. Brabus are a vehicle tuning company based in Germany that specialise in tuning and enhancing Mercedes-Benz vehicles in a similar way to AMG. As well as producing performance kits and accessories like Eco PowerXtra, Brabus also specialise in producing branded Brabus vehicles. These are stock Mercedes vehicles that have been overhauled and uprated to produce improved handling, performance and styling throughout and they display the Brabus badge. We advise that the plug and play diesel tuning kit should be fitted by an independent Mercedes-Benz specialist garage to ensure correct installation and a valid 3 year Brabus tuning warranty. Installation typically takes around 1.5 hours for CDI engines. We can arrange for fitment of your new Brabus kit, or can email the installation instructions to your chosen specialist in advance. Budget around £100 for the installation. As specialist tuners Brabus offer a 3-year/100,000 mile warranty that protects both the tuning kit itself and your vehicle. Brabus tuning kits are preprogrammed to ensure the safety and longevity of your vehicle; it’s engine, gearbox and drivetrain. Eco PowerXtra Kits have been extensively tested to ensure that they only operate within your vehicles tolerances and that the module only increases performance and power when your engine reaches optimum temperature - constantly monitoring for component wear or aging. The warranty length for Brabus PowerXtra CDI kits depend on the age and mileage of the vehicle it is fitted to. See warranty statement for full details. Using the A Class Hatchback W176 A200 CDI (1.796cc) as a base, this Brabus Eco PowerXtra CDI D2 kit will boost the performance of your car's OM651 engine with an extra 29bhp and a punchy 50Nm extra torque. It is suitable for models with a 6/7 speed gearbox. The top speed restriction is changed to 130 mph;Requires tyres with minimum speed index V; . Brabus Part number 176-720-210. Using the A Class Hatchback W176 A200 CDI (1.796cc) as a base, this Brabus Eco PowerXtra CDI D2 kit will boost the performance of your car's OM651 engine with an extra 29bhp and a punchy 50Nm extra torque. It is suitable for models with a 6/7 speed gearbox. The top speed restriction is changed to 138 mph;Requires tyres with minimum speed index V; . Brabus Part number 176-720-220. Using the CLA Class Coupe/Shooting Brake C/X117 CLA200 CDI (1.796cc) as a base, this Brabus Eco PowerXtra CDI D2 kit will boost the performance of your car's OM651 engine with an extra 29bhp and a punchy 50Nm extra torque. It is suitable for models with a 6/7 speed gearbox. The top speed restriction is changed to 130 mph;Requires tyres with minimum speed index V; . Brabus Part number 176-720-210. Using the CLA Class Coupe/Shooting Brake C/X117 CLA200 CDI (1.796cc) as a base, this Brabus Eco PowerXtra CDI D2 kit will boost the performance of your car's OM651 engine with an extra 29bhp and a punchy 50Nm extra torque. It is suitable for models with a 6/7 speed gearbox. The top speed restriction is changed to 138 mph;Requires tyres with minimum speed index V; . Brabus Part number 176-720-220. Using the C Class Saloon W204 C200 CDI as a base, this Brabus Eco PowerXtra CDI D2(III) kit will boost the performance of your car's OM646 engine with an extra 39bhp and a punchy 45Nm extra torque. It is suitable for models with a 5 speed gearbox. For Saloon only. Brabus Part number 204-732-00. Using the C Class Saloon/Estate W/S204 C200 CGI as a base, this Brabus Eco PowerXtra CDI D2(IV) kit will boost the performance of your car's OM651 engine with an extra 29bhp and a punchy 60Nm extra torque. It is suitable for models with a 5 speed gearbox. Requires tyres with minimum speed index V; . Brabus Part number 204-732-01. Using the E Class Saloon/Estate W/S212 E200 CDI as a base, this Brabus Eco PowerXtra CDI D2(IV) kit will boost the performance of your car's OM651 engine with an extra 29bhp and a punchy 60Nm extra torque. It is suitable for models with a 5 speed gearbox. Requires tyres with minimum speed index V; . Brabus Part number 212-732-01. Using the A Class Hatchback W176 A220 CDI as a base, this Brabus Eco PowerXtra CDI D3 kit will boost the performance of your car's OM651 engine with an extra 40bhp and a punchy 60Nm extra torque. It is suitable for models with a 7 speed gearbox. The top speed restriction is changed to 148 mph;Requires tyres with minimum speed index V; . Brabus Part number 176-730-10. Using the C Class Saloon W205 C220 BlueTEC as a base, this Brabus Eco PowerXtra CDI D3 kit will boost the performance of your car's OM651 engine with an extra 35bhp and a punchy 50Nm extra torque. It is suitable for models with a 7 speed gearbox. . Brabus Part number 205-730-00. Using the CLA Class Coupe/Shooting Brake C/X117 CLA220 CDI as a base, this Brabus Eco PowerXtra CDI D3 kit will boost the performance of your car's OM651 engine with an extra 40bhp and a punchy 60Nm extra torque. It is suitable for models with a 7 speed gearbox. The top speed restriction is changed to 148 mph;Requires tyres with minimum speed index V; . Brabus Part number 176-730-10. Using the GLA Class X156 GLA220 CDI as a base, this Brabus Eco PowerXtra CDI D3 kit will boost the performance of your car's OM651 engine with an extra 40bhp and a punchy 60Nm extra torque. It is suitable for models with a 7 speed gearbox. . Brabus Part number 156-730-10. Using the GLA Class X156 GLA220 CDI as a base, this Brabus Eco PowerXtra CDI D3 kit will boost the performance of your car's OM651 engine with an extra 40bhp and a punchy 60Nm extra torque. It is suitable for models with a 7 speed gearbox. . Brabus Part number 156-730-00. Using the GLK Class X204 GLK220 CDI as a base, this Brabus Eco PowerXtra CDI D3 kit will boost the performance of your car's OM651.912 engine with an extra 30bhp and a punchy 60Nm extra torque. It is suitable for models with a 7 speed gearbox. Requires tyres with minimum speed index V; For vehicles manufactured after 06/2012 ie Facelift. Brabus Part number X204-733-100. Using the GLK Class X204 GLK220 CDI as a base, this Brabus Eco PowerXtra CDI D3 kit will boost the performance of your car's OM651.912 engine with an extra 30bhp and a punchy 60Nm extra torque. It is suitable for models with a 7 speed gearbox. Requires tyres with minimum speed index V; . Brabus Part number X204-733-50. Using the C Class Saloon/Estate W/S204 C220 CDI as a base, this Brabus Eco PowerXtra CDI D3(III) kit will boost the performance of your car's OM646 engine with an extra 25bhp and a punchy 50Nm extra torque. It is suitable for models with a 5/6 speed gearbox. Requires tyres with minimum speed index W; . Brabus Part number 204-733-00. Using the E Class Coupe/Convertible C/A207 E220 CDI as a base, this Brabus Eco PowerXtra CDI D3(IV) kit will boost the performance of your car's OM651 engine with an extra 30bhp and a punchy 60Nm extra torque. It is suitable for models with a 5/6 speed gearbox. Requires tyres with minimum speed index W; . Brabus Part number 204-733-50. Using the E Class Saloon/Estate W/S212 E220 CDI as a base, this Brabus Eco PowerXtra CDI D3(IV) kit will boost the performance of your car's OM651 engine with an extra 30bhp and a punchy 60Nm extra torque. It is suitable for models with a 5 speed gearbox. Requires tyres with minimum speed index W; . Brabus Part number 212-733-01. Using the E Class Saloon/Estate W/S212 E220 CDI as a base, this Brabus Eco PowerXtra CDI D3(IV) kit will boost the performance of your car's OM651 engine with an extra 30bhp and a punchy 60Nm extra torque. It is suitable for models with a 5 speed gearbox. Requires tyres with minimum speed index W; . Brabus Part number 212-733-50. Using the E Class Saloon/Estate W/S212 E220 CDI as a base, this Brabus Eco PowerXtra CDI D3(IV) kit will boost the performance of your car's OM651 engine with an extra 30bhp and a punchy 60Nm extra torque. It is suitable for models with a 7 speed & Code 064 gearbox. Requires tyres with minimum speed index W; . Brabus Part number 212-733-10. Using the Vito/V Class W/V639 2.2 CDI as a base, this Brabus Eco PowerXtra CDI D3(IV) kit will boost the performance of your car's OM651 engine with an extra 30bhp and a punchy 40Nm extra torque. It is suitable for models with a 5 speed gearbox. . Brabus Part number 639-733-01. Using the C Class Saloon/Estate/Coupe W/S/C204 C220 CDI as a base, this Brabus Eco PowerXtra CDI D3(V) kit will boost the performance of your car's OM651 engine with an extra 30bhp and a punchy 60Nm extra torque. It is suitable for models with a 7 speed & Code 064 gearbox. Requires tyres with minimum speed index V; . Brabus Part number 204-733-10. Using the E Class Coupe/Convertible C/A207 E220 CDI as a base, this Brabus Eco PowerXtra CDI D3(V) kit will boost the performance of your car's OM651 engine with an extra 30bhp and a punchy 60Nm extra torque. It is suitable for models with a 7 speed & Code 064 gearbox. Requires tyres with minimum speed index W; . Brabus Part number 207-733-10. Using the C Class Saloon/Estate W/S204 C220 CDI as a base, this Brabus Eco PowerXtra CDI D3S kit will boost the performance of your car's OM646 engine with an extra 50bhp and a punchy 80Nm extra torque. It is suitable for models with a 5 speed gearbox. Requires tyres with minimum speed index W; . Brabus Part number 204-733S-00. Using the C Class Saloon W205 C250 BlueTEC as a base, this Brabus Eco PowerXtra CDI D4 kit will boost the performance of your car's OM651 engine with an extra 31bhp and a punchy 50Nm extra torque. It is suitable for models with a 7 speed gearbox. . Brabus Part number 205-740-00. Using the C Class Saloon/Estate/Coupe W/S/C204 C250 CDI as a base, this Brabus Eco PowerXtra CDI D4 kit will boost the performance of your car's OM651 engine with an extra 31bhp and a punchy 60Nm extra torque. It is suitable for models with a 5/6/7 speed gearbox. Requires tyres with minimum speed index W; . Brabus Part number 204-744-00. Using the C Class Saloon/Estate/Coupe W/S/C204 C250 CDI as a base, this Brabus Eco PowerXtra CDI D4 kit will boost the performance of your car's OM651 engine with an extra 31bhp and a punchy 60Nm extra torque. It is suitable for models with a 5/6/7 speed gearbox. Requires tyres with minimum speed index W; . Brabus Part number 204-744-50. Using the E Class Coupe/Convertible C/A207 E250 CDI as a base, this Brabus Eco PowerXtra CDI D4 kit will boost the performance of your car's OM651 engine with an extra 31bhp and a punchy 60Nm extra torque. It is suitable for models with a 5/6/7 speed gearbox. Requires tyres with minimum speed index W; . Brabus Part number 207-744-50. Using the E Class Saloon/Estate W/S212 E250 CDI as a base, this Brabus Eco PowerXtra CDI D4 kit will boost the performance of your car's OM651 engine with an extra 31bhp and a punchy 60Nm extra torque. It is suitable for models with a 5/6 speed gearbox. Requires tyres with minimum speed index W; . Brabus Part number 212-744-50. Using the E Class Saloon/Estate W/S212 W250 CDI as a base, this Brabus Eco PowerXtra CDI D4 kit will boost the performance of your car's OM651 engine with an extra 31bhp and a punchy 60Nm extra torque. It is suitable for models with a 5/6 speed gearbox. Requires tyres with minimum speed index W; . Brabus Part number 212-744-00. Using the GLK Class X204 GLK250 CDI as a base, this Brabus Eco PowerXtra CDI D4 kit will boost the performance of your car's OM651 engine with an extra 31bhp and a punchy 60Nm extra torque. It is suitable for models with a 7 speed gearbox. Requires tyres with minimum speed index V; For 4Matic vehicles only. Brabus Part number X204-744-00. Using the GLK Class X204 GLK250 CDI as a base, this Brabus Eco PowerXtra CDI D4 kit will boost the performance of your car's OM651 engine with an extra 31bhp and a punchy 60Nm extra torque. It is suitable for models with a 7 speed gearbox. Requires tyres with minimum speed index V; For 4Matic vehicles only. Brabus Part number X204-744-50. Using the M Class SUV W166 ML250 BlueTEC as a base, this Brabus Eco PowerXtra CDI D4 kit will boost the performance of your car's OM651 engine with an extra 36bhp and a punchy 60Nm extra torque. It is suitable for models with a 7 speed gearbox. Requires tyres with minimum speed index V; . Brabus Part number 166-744-00. Using the Vito/V Class W447 V250 BlueTEC as a base, this Brabus Eco PowerXtra CDI D4 kit will boost the performance of your car's OM651 engine with an extra 45bhp and a punchy 70Nm extra torque. It is suitable for models with a 7 speed gearbox. Requires tyres with minimum speed index V; Suitable for vehicles with engine output of 190bhp/140kW;. Brabus Part number 447-744-00. Using the CLS Class Coupe/Shooting Brake C/X218 CLS250 CDI as a base, this Brabus Eco PowerXtra CDI D4(II) kit will boost the performance of your car's OM651 engine with an extra 36bhp and a punchy 60Nm extra torque. It is suitable for models with a 7 speed & Code 064 gearbox. Requires tyres with minimum speed index W; . Brabus Part number 218-744-10. Using the E Class Saloon/Estate W/S212 E250 CDI as a base, this Brabus Eco PowerXtra CDI D4(II) kit will boost the performance of your car's OM651 engine with an extra 31bhp and a punchy 60Nm extra torque. It is suitable for models with a 7 speed & Code 064 gearbox. Requires tyres with minimum speed index W; . Brabus Part number 212-744-10. Using the E Class Saloon/Estate W/S212 E300 BlueTEC Hybrid as a base, this Brabus Eco PowerXtra CDI D4-Hybrid kit will boost the performance of your car's OM651 engine with an extra 37bhp and a punchy 60Nm extra torque. It is suitable for models with a 7 speed gearbox. Requires tyres with minimum speed index W; . Brabus Part number 212-744-100. Using the E Class Saloon/Estate W/S212 E250 CDI as a base, this Brabus Eco PowerXtra CDI D4.2 kit will boost the performance of your car's OM651 engine with an extra 37bhp and a punchy 60Nm extra torque. It is suitable for models with a 7 speed gearbox. Requires tyres with minimum speed index W; Suitable for vehicles with engine output of 204bhp/150kW;For vehicles manufactured after 04/2013 ie Facelift. Brabus Part number 212-744-60. Using the M Class SUV W164 280/300 CDI as a base, this Brabus Eco PowerXtra CDI D5(III) kit will boost the performance of your car's OM642 engine with an extra 52bhp and a punchy 70Nm extra torque. It is suitable for models with a 7 speed gearbox. Requires tyres with minimum speed index V; For EU4 emission standard vehicles; . Brabus Part number 164-735-00. Using the E Class Saloon/Estate W/S212 E300 CDI as a base, this Brabus Eco PowerXtra CDI D5(IV) kit will boost the performance of your car's OM642 engine with an extra 41bhp and a punchy 50Nm extra torque. It is suitable for models with a 7 speed gearbox. Requires tyres with minimum speed index W; Suitable for vehicles with engine output of 231bhp/170kW;. Brabus Part number 212-735-00. Using the C Class Saloon/Estate W/S204 C200 CDI as a base, this Brabus Eco PowerXtra CDI D5(V) kit will boost the performance of your car's OM642 engine with an extra 54bhp and a punchy 60Nm extra torque. It is suitable for models with a 7 speed gearbox. Requires tyres with minimum speed index W; Suitable for vehicles with engine output of 231bhp/170kW;For EU5 emission standard vehicles; . Brabus Part number 204-735-10. Using the C Class Saloon/Estate W/S204 C320/350 CDI as a base, this Brabus Eco PowerXtra CDI D6(III) kit will boost the performance of your car's OM642 engine with an extra 48bhp and a punchy 80Nm extra torque. It is suitable for models with a 7 speed gearbox. Suitable for vehicles with engine output of 224bhp/165kW;For EU4 emission standard vehicles; . Brabus Part number 204-736-00. Using the C Class Saloon/Estate W/S204 C350 CDI as a base, this Brabus Eco PowerXtra CDI D6(III) kit will boost the performance of your car's OM642 engine with an extra 54bhp and a punchy 60Nm extra torque. It is suitable for models with a 7 speed gearbox. Requires tyres with minimum speed index W; Suitable for vehicles with engine output of 231bhp/170kW;For EU5 emission standard vehicles; . Brabus Part number 204-736-10. Using the CLS Class Coupe C219 CLS350 CDI as a base, this Brabus Eco PowerXtra CDI D6(III) kit will boost the performance of your car's OM642 engine with an extra 48bhp and a punchy 80Nm extra torque. It is suitable for models with a 7 speed gearbox. For EU4 emission standard vehicles; . Brabus Part number 219-736-00. Using the E Class Coupe/Convertible C/A207 E350 CDI as a base, this Brabus Eco PowerXtra CDI D6(III) kit will boost the performance of your car's OM642 engine with an extra 41bhp and a punchy 50Nm extra torque. It is suitable for models with a 7 speed gearbox. Requires tyres of minimum rating: Front&Rear 93W or 90Y; Suitable for vehicles with engine output of 231bhp/170kW;. Brabus Part number 207-736-00. Using the E Class Saloon/Estate W/S212 E350 CDI as a base, this Brabus Eco PowerXtra CDI D6(III) kit will boost the performance of your car's OM642 engine with an extra 41bhp and a punchy 50Nm extra torque. It is suitable for models with a 7 speed gearbox. Requires tyres with minimum speed index W; Suitable for vehicles with engine output of 231bhp/170kW;. Brabus Part number 212-736-00. Using the GL Class X164 GL320/350 CDI as a base, this Brabus Eco PowerXtra CDI D6(III) kit will boost the performance of your car's OM642 engine with an extra 48bhp and a punchy 80Nm extra torque. It is suitable for models with a 7 speed gearbox. Requires tyres with minimum speed index V; For EU4 emission standard vehicles; . Brabus Part number X164-736-00. Using the GLK Class X204 GLK320/350 CDI as a base, this Brabus Eco PowerXtra CDI D6(III) kit will boost the performance of your car's OM642 engine with an extra 48bhp and a punchy 80Nm extra torque. It is suitable for models with a 7 speed gearbox. Requires tyres with minimum speed index V; For EU4 emission standard vehicles; . Brabus Part number X204-736-00. Using the GLK Class X204 GLK350 CDI as a base, this Brabus Eco PowerXtra CDI D6(III) kit will boost the performance of your car's OM642 engine with an extra 41bhp and a punchy 50Nm extra torque. It is suitable for models with a 7 speed gearbox. Requires tyres with minimum speed index V; Suitable for vehicles with engine output of 231bhp/170kW;For EU5 emission standard vehicles; For 4Matic vehicles only. Brabus Part number X204-736-10. Using the M Class SUV W164 ML320/350 CDI as a base, this Brabus Eco PowerXtra CDI D6(III) kit will boost the performance of your car's OM642 engine with an extra 48bhp and a punchy 80Nm extra torque. It is suitable for models with a 7 speed gearbox. For EU4 emission standard vehicles; . Brabus Part number 164-736-00. Using the M Class SUV W164 ML350 CDI as a base, this Brabus Eco PowerXtra CDI D6(III) kit will boost the performance of your car's OM642 engine with an extra 41bhp and a punchy 50Nm extra torque. It is suitable for models with a 7 speed gearbox. 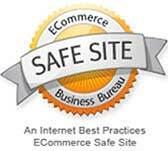 Requires tyres with minimum speed index V; For EU5 emission standard vehicles; . Brabus Part number 164-736-10. Using the R Class Estate W/V251 R320/350 CDI as a base, this Brabus Eco PowerXtra CDI D6(III) kit will boost the performance of your car's OM642 engine with an extra 48bhp and a punchy 80Nm extra torque. It is suitable for models with a 7 speed gearbox. For EU4 emission standard vehicles; . Brabus Part number 251-736-00. Using the S Class Saloon W/V221 S320/350 CDI as a base, this Brabus Eco PowerXtra CDI D6(III) kit will boost the performance of your car's OM642 engine with an extra 37bhp and a punchy 50Nm extra torque. It is suitable for models with a 7 speed gearbox. For EU4 emission standard vehicles; . Brabus Part number 221-736-00. Using the Vito/V Class W/V639 3.0 CDI as a base, this Brabus Eco PowerXtra CDI D6(III) kit will boost the performance of your car's OM642 engine with an extra 38bhp and a punchy 60Nm extra torque. It is suitable for models with a 5 speed gearbox. Requires tyres with minimum speed index V; Suitable for vehicles with engine output of 204bhp/150kW;. Brabus Part number 639-736-00. Using the C Class Saloon/Estate W/S204 C350 CDI as a base, this Brabus Eco PowerXtra CDI D6S kit will boost the performance of your car's OM642 engine with an extra 48bhp and a punchy 70Nm extra torque. It is suitable for models with a 7 speed gearbox. Suitable for vehicles with engine output of 265bhp/195kW;For EU5 emission standard vehicles; For vehicles manufactured after 04/2013 ie Facelift. Brabus Part number 204-736-20. Using the CLS Class Coupe/Shooting Brake C/X218 CLS350 BlueTEC as a base, this Brabus Eco PowerXtra CDI D6S kit will boost the performance of your car's OM642 engine with an extra 58bhp and a punchy 70Nm extra torque. It is suitable for models with a 7 speed gearbox. Requires tyres with minimum speed index W; Suitable for vehicles with engine output of 252bhp/185kW;For vehicles manufactured after 09/2014 ie Facelift. Brabus Part number 212-736-20. Using the CLS Class Coupe/Shooting Brake C/X218 CLS350 CDI as a base, this Brabus Eco PowerXtra CDI D6S kit will boost the performance of your car's OM642 engine with an extra 48bhp and a punchy 70Nm extra torque. It is suitable for models with a 7 speed gearbox. . Brabus Part number 218-736-10. Using the E Class Coupe/Convertible C/A207 E350 CDI as a base, this Brabus Eco PowerXtra CDI D6S kit will boost the performance of your car's OM642 engine with an extra 48bhp and a punchy 70Nm extra torque. It is suitable for models with a 7 speed gearbox. Suitable for vehicles with engine output of 265bhp/195kW;For EU5 emission standard vehicles; For vehicles manufactured after 04/2013 ie Facelift. Brabus Part number 207-736-10. Using the E Class Saloon/Estate W/S212 E350 BlueTEC as a base, this Brabus Eco PowerXtra CDI D6S kit will boost the performance of your car's OM642 engine with an extra 52bhp and a punchy 70Nm extra torque. It is suitable for models with a 9 speed gearbox. Requires tyres with minimum speed index W; Suitable for vehicles with engine output of 258bhp/190kW;For vehicles manufactured after 04/2013 ie Facelift. Brabus Part number 212-736-20. Using the E Class Saloon/Estate W/S212 E350 BlueTEC as a base, this Brabus Eco PowerXtra CDI D6S kit will boost the performance of your car's OM642 engine with an extra 58bhp and a punchy 70Nm extra torque. It is suitable for models with a 9 speed gearbox. Requires tyres with minimum speed index W; Suitable for vehicles with engine output of 252bhp/185kW;For vehicles manufactured after 04/2013 ie Facelift. Brabus Part number 212-736-20. Using the E Class Saloon/Estate W/S212 E350 BlueTEC 4MATIC as a base, this Brabus Eco PowerXtra CDI D6S kit will boost the performance of your car's OM642 engine with an extra 42bhp and a punchy 70Nm extra torque. It is suitable for models with a 7 speed gearbox. Requires tyres with minimum speed index W; Suitable for vehicles with engine output of 258bhp/190kW;For vehicles manufactured after 04/2013 ie Facelift. Brabus Part number 212-736-20. Using the E Class Saloon/Estate W/S212 E350 CDI as a base, this Brabus Eco PowerXtra CDI D6S kit will boost the performance of your car's OM642.852 engine with an extra 48bhp and a punchy 70Nm extra torque. It is suitable for models with a 7 speed gearbox. Requires tyres with minimum speed index W; Suitable for vehicles with engine output of 265bhp/195kW;. Brabus Part number 212-736-10. Using the G Class W463 G350 BlueTEC as a base, this Brabus Eco PowerXtra CDI D6S kit will boost the performance of your car's OM642 engine with an extra 47bhp and a punchy 50Nm extra torque. It is suitable for models with a 7 speed gearbox. For vehicles manufactured after 06/2012 ie Facelift. Brabus Part number 463-736-10. Using the G Class W463 G350 BlueTEC as a base, this Brabus Eco PowerXtra CDI D6S kit will boost the performance of your car's OM642 engine with an extra 47bhp and a punchy 50Nm extra torque. It is suitable for models with a 7 speed gearbox. For vehicles manufactured after 07/2012 ie Facelift. Brabus Part number 463-736-20. Using the GL Class X166 GL350 BlueTEC as a base, this Brabus Eco PowerXtra CDI D6S kit will boost the performance of your car's OM642 engine with an extra 52bhp and a punchy 70Nm extra torque. It is suitable for models with a 7 speed gearbox. Requires tyres with minimum speed index V; . Brabus Part number X166-736-00. Using the GL Class X164 GL350 CDI as a base, this Brabus Eco PowerXtra CDI D6S kit will boost the performance of your car's OM642 engine with an extra 48bhp and a punchy 70Nm extra torque. It is suitable for models with a 7 speed gearbox. Suitable for vehicles with engine output of 265bhp/195kW;For EU5 emission standard vehicles; . Brabus Part number X164-736-10. Using the GLK Class X204 GLK350 CDI as a base, this Brabus Eco PowerXtra CDI D6S kit will boost the performance of your car's OM642 engine with an extra 48bhp and a punchy 70Nm extra torque. It is suitable for models with a 7 speed gearbox. Requires tyres with minimum speed index W; Suitable for vehicles with engine output of 265bhp/195kW;For EU5 emission standard vehicles; For 4Matic vehicles only. Brabus Part number X204-736-20. Using the M Class SUV W166 ML350 BlueTEC as a base, this Brabus Eco PowerXtra CDI D6S kit will boost the performance of your car's OM642 engine with an extra 50bhp and a punchy 70Nm extra torque. It is suitable for models with a 7 speed gearbox. Requires tyres with minimum speed index V; . Brabus Part number 166-736-00. Using the R Class Estate W/V251 R350 CDI as a base, this Brabus Eco PowerXtra CDI D6S kit will boost the performance of your car's OM642 engine with an extra 48bhp and a punchy 70Nm extra torque. It is suitable for models with a 7 speed gearbox. Suitable for vehicles with engine output of 265bhp/195kW;For EU5 emission standard vehicles; . Brabus Part number 251-736-10. Using the S Class Saloon W/V221 S350 Blue Tec as a base, this Brabus Eco PowerXtra CDI D6S kit will boost the performance of your car's OM642 engine with an extra 55bhp and a punchy 70Nm extra torque. It is suitable for models with a 7 speed gearbox. 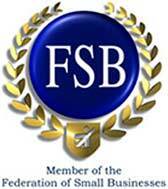 For EU6 emission standard vehicles; . Brabus Part number 221-736-10. Using the S Class Saloon W/V222 S350 BlueTEC as a base, this Brabus Eco PowerXtra CDI D6S kit will boost the performance of your car's OM642 engine with an extra 56bhp and a punchy 70Nm extra torque. It is suitable for models with a 7 speed gearbox. . Brabus Part number 222-736-00. Using the Vito/V Class W/V639 3.0 CDI as a base, this Brabus Eco PowerXtra CDI D6S kit will boost the performance of your car's OM642 engine with an extra 41bhp and a punchy 60Nm extra torque. It is suitable for models with a 5 speed gearbox. Requires tyres with minimum speed index V; Suitable for vehicles with engine output of 224bhp/165kW;For EU5 emission standard vehicles; . Brabus Part number 639-736-20. Using the GL Class X164 GL420/450 CDI as a base, this Brabus Eco PowerXtra CDI D8(III) kit will boost the performance of your car's OM629 engine with an extra 44bhp and a punchy 100Nm extra torque. It is suitable for models with a 7 speed gearbox. Requires tyres with minimum speed index W; . Brabus Part number X164-738-00. Using the M Class SUV W164 ML420/450 CDI as a base, this Brabus Eco PowerXtra CDI D8(III) kit will boost the performance of your car's OM629 engine with an extra 44bhp and a punchy 100Nm extra torque. It is suitable for models with a 7 speed gearbox. Requires tyres with minimum speed index W; . Brabus Part number 164-738-00.